and return it to Midwest Sealant Supply. 3M Fire and Water Barrier Tape FWBT the next generation in Fire Stopping. No spray or caulk required! 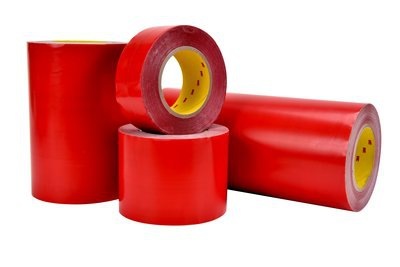 3M™ Fire and Water Barrier Tape can provide up to 4-hours of fire protection in construction joints per ASTM E 1966 (UL 2079), 3-hour fire protection in perimeter joints per ASTM E 2307 and 2-hour fire protection in through-penetration applications per ASTM E 814 (UL 1479). This elastic material maintains performance with up to +/- 50% movement capabilities. It has a high tack adhesive that sticks to most common building materials and exceeds the AAMA 711 minimum for adhesion in peel. In addition, it can be installed in temperatures as low as 0°F (18°C) and as high as 120°F (49°C). Adding to its versatility is a unique adhesive that bonds to damp surfaces. 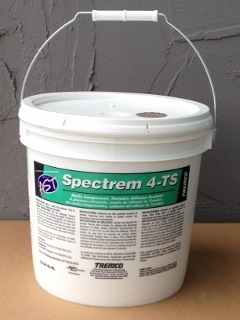 This product acts as an acoustic barrier by minimizing noise transfer (STC-Rating of 54 when tested in a STC 54-rated wall assembly), meets the intent of LEED® VOC environmental guidelines and also acts as an immediate barrier to water leakage passing the ASTM D 6904 rain resistance test. Our 3M™ Fire and Water Barrier Tape complies with the current requirements of the International Building Code (IBC). NFPA 5000 and NFPA 101. Tremproof 545/560 Post-Applied, self-Adhered Waterproofing Membrane Performs without a primer or the need of a Protection Course. 3M Detector Loop Sealant now a stock item. (may take a few minutes to load) is now available in 1 liter sausages (ply pack). We are pleased to welcome GE Silicones to Midwest Sealant Supply as a supplier of sealants for the construction marketplace. Click on Momentive for information on GE Sealants. 3M has introduced FIP 1-Step, an expanding foam-in-Place intumescent Firestop that does not require the use of mineral wool. Looking for Safe-T- Guard? Click on What's New. A new fireproofing product for wood and fabrics is available. To learn more, click on FireTect. We are pleased to announce we now stock 3M Marine Adhesive Sealant 5200. Heavy Duty, 8 " floor scrapers: Heat treated investment cast heads, solid steel handles and cushioned grips create the ultimate hand scraper. 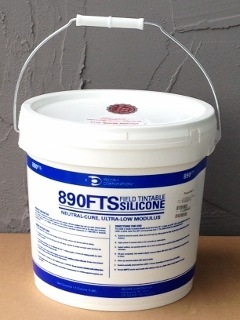 We now stock Euco 700, Epoxy Floor Joint Sealant Tint Base. Color paks allow selection from our inventory of 75 colors. Eighty (80) colors in stock. Welcome to our website. Midwest Sealant Supply, is a leading supplier of high performance sealants, firestop and coatings to the construction marketplace. See What's New. Our website is designed to streamline your information search by providing easy access links to our leading manufacturers' and information sites. Sealants constitute one of the smallest expenses on any project but carry one the greatest reponsibilities - keeping your building dry and safe. Protect that investment by allowing Midwest Sealant Supply to assist with your selection of the correct sealant for each application. We do our best to keep this site running properly. If you find any links that do not get to where you want to go - Please let us know. Thanks for your help. FAQ's address your need for red colored products in firestop applications. Click firestop to debunk your need to use Red. * use our "Color Charts" link for direct acess to online color charts. Make Midwest Sealant Supply your source for Horseshoe Shims. We stock 1 1/2" X 3 1/2" shims in 1/16", 1/8" , 1/4", 3/8" & 1/2" thickness. Made in the U.S.A. Call for Prices. We have increased our inventory and now stock several different finishes of Citadel "Panel 15" architectural panels.